The NP-PA622U Advanced Professional Installation LCD Projector from NEC features a WUXGA (1920 x 1200) resolution. For connectivity, it affords dual HDMI inputs with HDCP support, a USB Viewer, a VGA input, and more. It also supports built-in HDBaseT support. 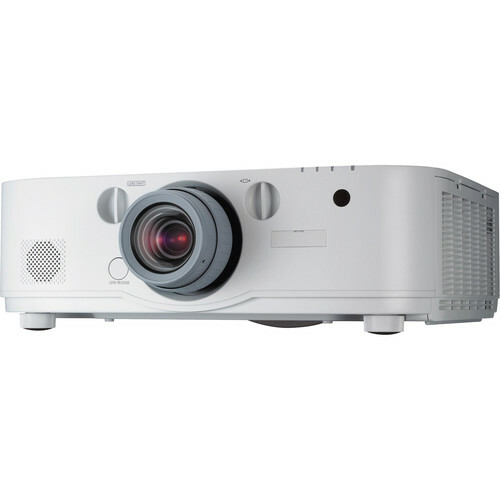 The projector provides up to 6200 lumens of brightness and a contrast ratio of 6000:1. The 4000 hour lamp life in Eco Mode and filter free design ensure a lower overall cost of ownership as well. 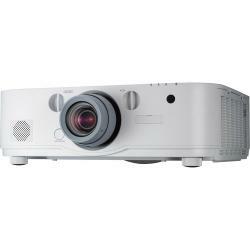 The NP-PA622U provides automatic keystone correction technology, which instantly projects a square image even when the projector is set up at a steep offset angle to the screen. It also features an integrated active lens cover, which mutes audio and video while lowering the lamp power to conserve energy. Other features include a 10W speaker and Eco Mode technology, which helps extend lamp life and lowers power consumption with constant brightness and prevents the usual drop in brightness over time while maximizing lamp life. Plus, the projector is compatible with NTSC, PAL, and SECAM video systems.